Why is there reaction to science-related issues in some countries, and in others not so much? Having lived for almost a decade in a country where there were big reactions to science issues (MMR, GM, mad cow, etc), and having moved back to a country where the reactions are not so big – one could say non-existent – it makes me wonder why is this the case? Of course it comes down to society, but why? What I mean is, of course there are big differences between the British and Greek societies, but which of these differences cause reaction in the former and not in the latter? I haven’t posted about things I found amazing for a while. The truth is I can’t believe i just found this! 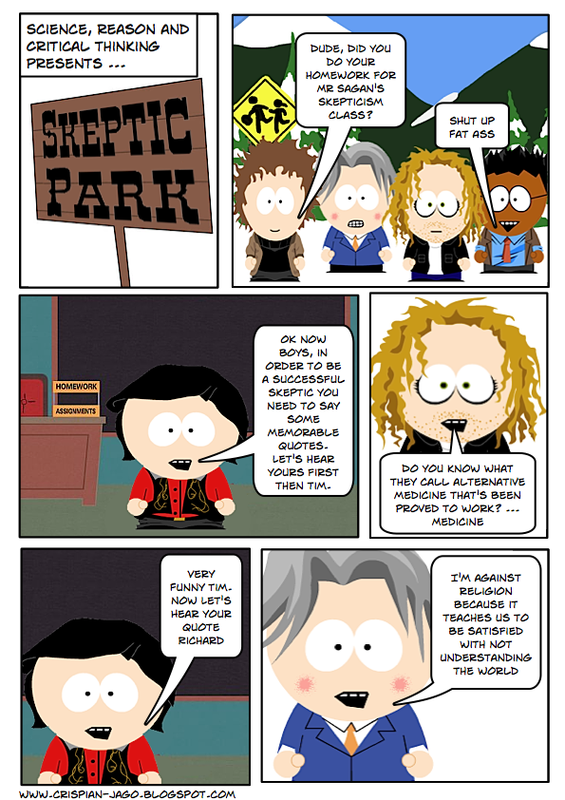 Can you believe there is a South Park for Science, Reason and Critical thinking?!? The blogger who made these amazing strips is Crispian Jago and his blogspot is: http://crispian-jago.blogspot.com/. 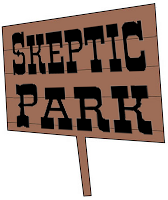 Skeptic Park is absolutely brilliant as is of course his whole blog!!! !